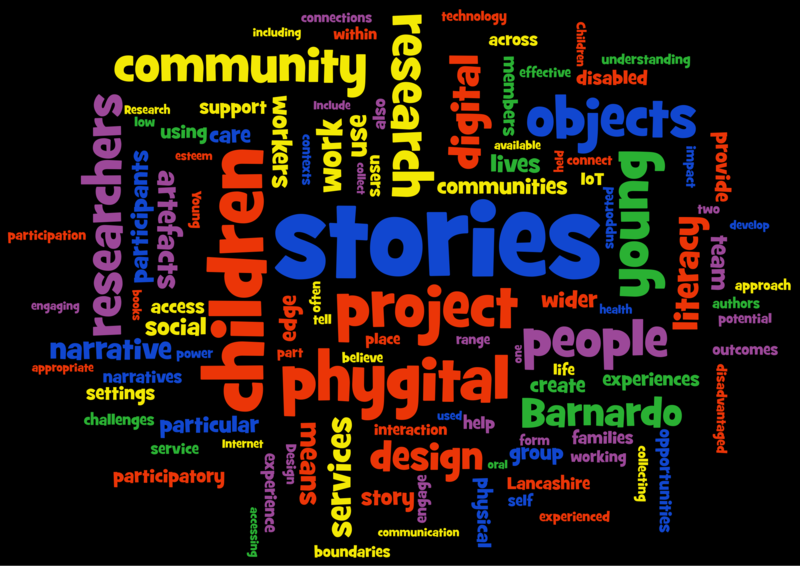 We achieved this by working with Barnardo’s young people who are members of a range of participatory groups. They became part of the project team as co-researchers and acting as a core group of young people who were able to collect stories about children and young people’s lives that might not otherwise be heard. Two famous children’s authors, Adele Geras and Melvyn Burgess, and digital designers from Lancaster University helped us to develop and share these stories as ‘phygital’ objects that offer an exciting hybrid of physical and digital forms. This project was supported by the children’s charity Barnardo’s and funded by the Arts and Humanities Research Council as part of the Connected Communities Programme.